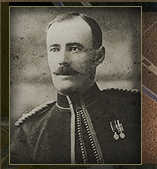 Fitzgerald is mentioned in many records regarding the Royal Northwest Mounted Police because in 1903 he was made the first commander of the newly established police detachment at Herschel Island in the Western Arctic. From December 1910 until February 1911, he led a mail patrol from Fort McPherson southward to Dawson City. When the patrol did not arrive in time, a search party was sent which found the bodies of Fitzgerald and the other patrol members. This misadventure has since been chronicled as the "Lost Patrol." In 1905, Fitzgerald had met at Fort Resolution with a patrol led by Dr. George Pearson Bell. On this occasion, he gave Dr. Bell a collection of artifacts. Among them were "Eskimo Items" which he had most likely acquired at Herschel Island. In 1975, Dr. Bell's widow sold them to the Canadian Museum of Civilization. 1973  Pictorial History of the Royal Canadian Mounted Police. Toronto: McGraw-Hill Ryerson Limited, pp. 146-149. 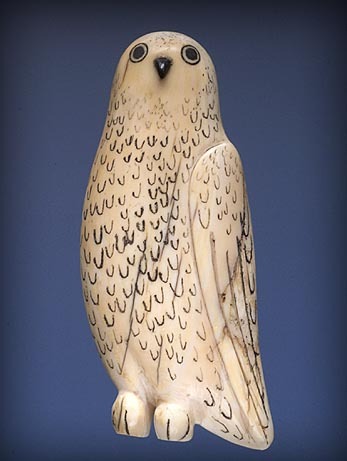 The owl's back is flattened and has two holes at the top to allow a thread to be pulled through. A small piece of baleen forms a beak. 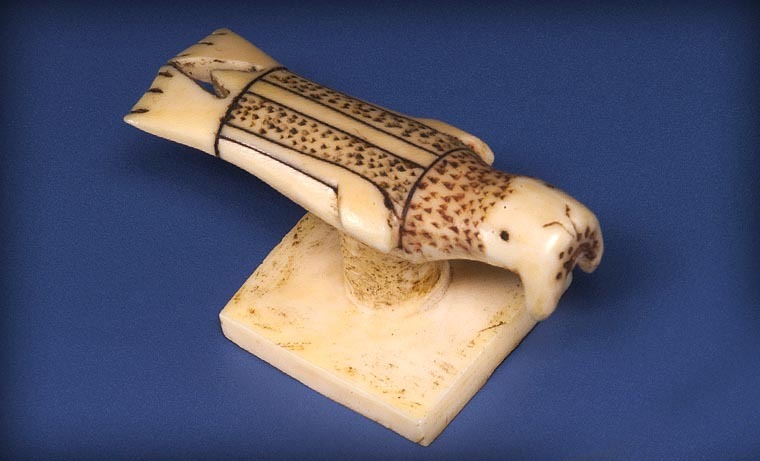 It is possible that the pieces in Fitzgerald's collection were made by Alaskan Inuit, employed by whaling ship captains wintering over on Herschel Island. 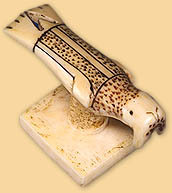 The stylized markings on the walrus show Alaskan influence. This charming figure would have been part of a woman's needle kit. The y-shape separating the tail feathers would hold the thread in place, while the spool could be used for winding thread. It would not be surprising if this piece was of Alaskan origin. A similar piece is illustrated in the exhibition catalogue Inua: The spirit world of the Bering Sea eskimo. * According to the anthropologist Nelson, it represents a legendary creature. The item Nelson collected was a socket piece to a sealing dart. Here an almost identical design has become a utensil for keeping a thread from getting entangled. 1982  Inua: the spirit world of the Bering Sea eskimo. Washington: Smithsonian Institution Press, ill. p. 44. Awls were used to make holes in a garment before the seamstress pulled the thread through the material. The indentation on the back of this creature indicates that it was also used as a spool.